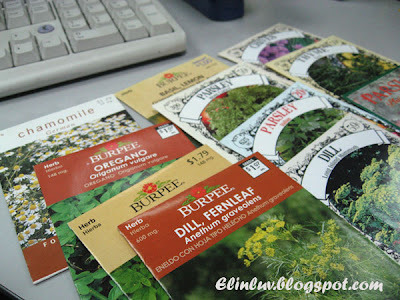 These are the packets of seeds she brought back for me ( dun be jealous okay...I am her good friend )when she came back the last CNY :) I can't wait to plant the salad lettuce..she told me it is easy to plant them , so I will definitely plant those first :) then I can have salad for dinner everyday. I am so blessed to have a friend like her...always giving me tips now and then though she lives so far away from me..the other part of the world when she is sleeping and I am awake :)) She is generous and kind and I have known her for more than 2 years and have met her twice in person...it is indeed a blessing for me for she has shared many of her wonderful recipes on her blog ... my mentor and friend! not knowing what to do with them...should I pickled them the nyonya style ? and sniff in the fragrance of your spring flowers in your garden. Have I mentioned that I am hopeless in gardening? I wish I could understand it a bit...so I could have plenty of herbs ready...I am so jealous whenever I see you using so many sprigs of rosemary in cooking. I tried to plant rosemary before I believed at least twice, but they all dried up on me. I have a black thumb. I am jealous of your calamansi plant they're gorgeous. I remember back in the Philippines we used them for marinating meats, fish, and they're are lovely when you add the juice in cooked noodles. Lovely post. Thank you for sharing. 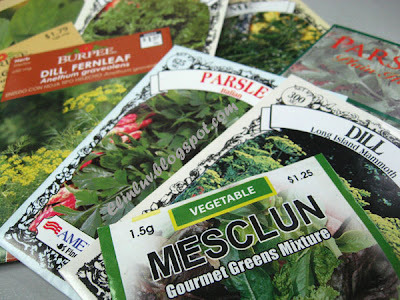 Angie...:) I am also not good in gardening...just that I love greens and flowers, so have to force myself to grow them in pots..especially herbs. Madin....It is hard to grow rosemary...too much water it will die and too much sunlight will also kills it :( but I will not give up. Calamansi is easier to plant and it doesn't really need much attention except prune it more often. I love gardening! The tree looks so beautiful with all that fruit... there is no greater satisfaction than growing your own food and seeing prosper! Your garden looks lovely, especially the calamansi. I've never tried them before - is it similar to a lime? I think this might be the same plant my sister-in-law has been searching for, but they are very difficult to find in the US. 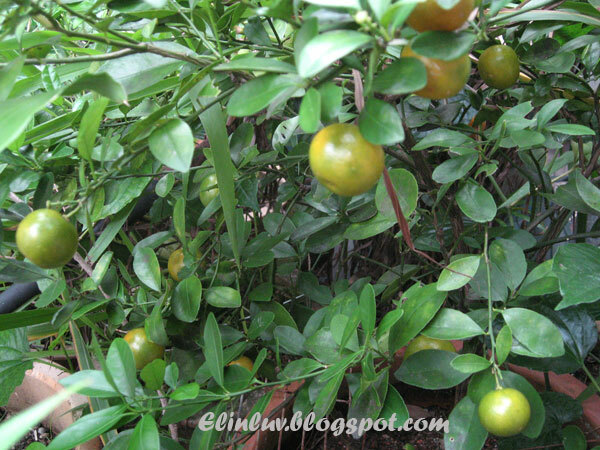 I'll have to look up what a calamansi plant is...looks like it has beautiful fruit. 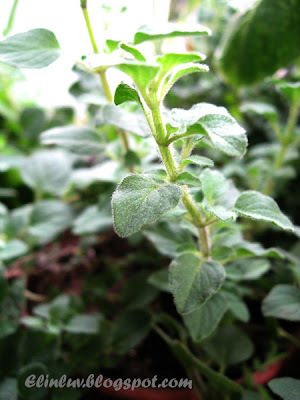 Your oregano looks healthy and happy! Ha, ha, gardening was also my hobby before I started blogging .... now my pearl grass has so many types of invasion, must reschedule my time table and spend some time weeding out the 'thugs'! 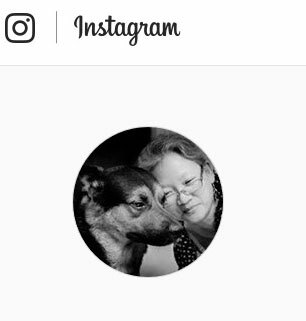 Judy... 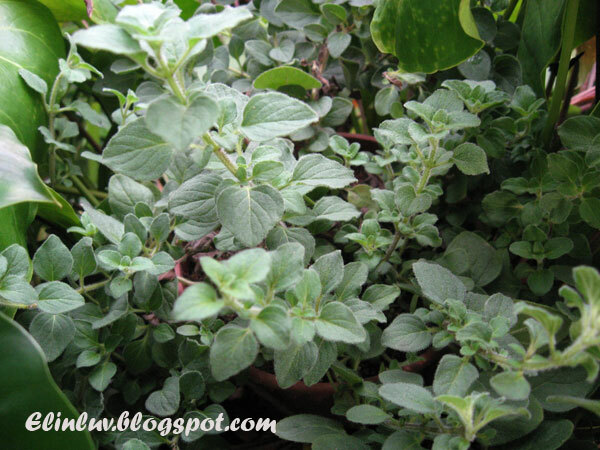 I have a small patch, a side garden whereby I planted all my herbs in pots. 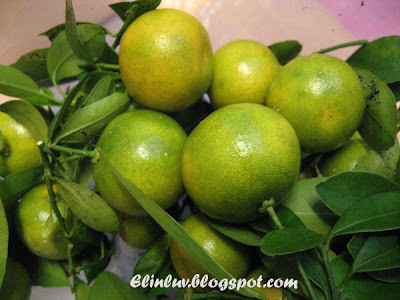 I called them ' my garden' :p Calamansi are smaller in size ( slightly bigger than moth balls ) and have thin skin. Taste better than lime , not so tangy and sharp like the lime. Feb. 23, 2015 Elin, hello from Cristina in Canada. 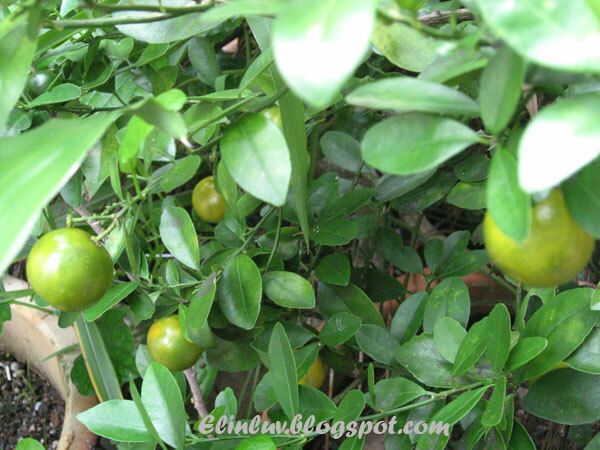 It is winter here now but I have a key lime tree inside the house since 2013 and with fruits. 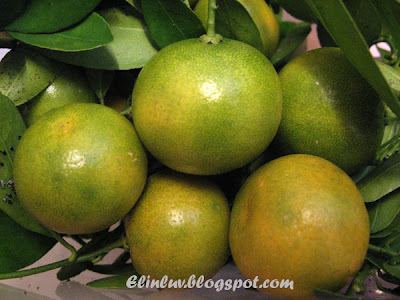 But I wish I have a calamansi or calamondin plant like yours. 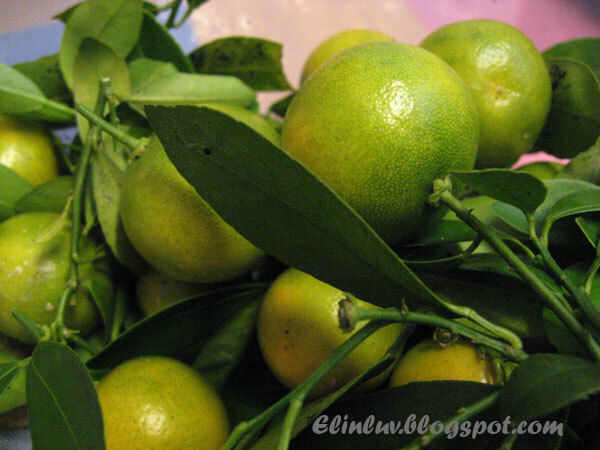 We used to drink calamansi juice in the Philippines when we were young not just for cooking.